Our favourite princess is feeling a bit sleepy today. Or maybe she's just sad. Let's help Eliza bring a happy smile on her face in this new game named Eliza's Moody Fashion Guide! 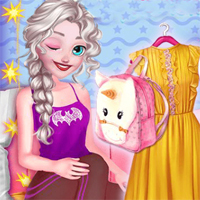 Have fun choosing the best outfit to match Elsa's mood in this awesome new game!